Lake George Escape is nothing short of perfect. With 175 acres of lush woods and meadows surrounded by the six million acre Adirondack Park, Lake George Escape RV Resort won't fail to make your camping trip an experience to remember! Our New York RV park is big! Take your pick - we offer 575 sites for your selection. 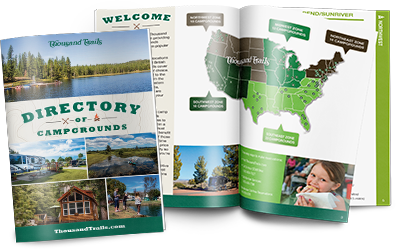 From RV sites, pull-thrus and back-ins, pond front, waterfront or wooded - we've got the site that's right for you. We even have tent sites. What's more? We're a 5-star rated campground. That means our facilities are just as exquisite as our camp sites! Lake George Escape is fun. There’s no shortage of things to do as our resort is tailored to meet the needs of campers of all ages and interests. Enjoy tubing trips, basketball, baseball, softball, horseshoes, wagon rides, pedal karts, movies and so much more! For water-goers, rent a canoe, kayak, row boat or electric boat for a scenic ride on the magnificent Schroon River. With everything we mentioned plus more, choosing Lake George Escape RV Campground for your next vacation is practically a no-brainer. We're conveniently located near local attractions like Six Flags Great Escape, Lake George Steamboats, Waterslide World and Lake George Village. We look forward to making your New York RV Camping trip amazing!